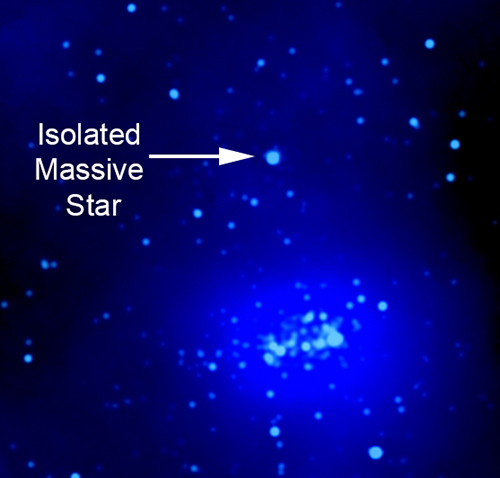 Giant molecular clouds, containing mostly hydrogen and helium, are where most new stars and planets form. W51 is one of the closest such objects to Earth so it is an excellent target for learning more about the star-formation process. 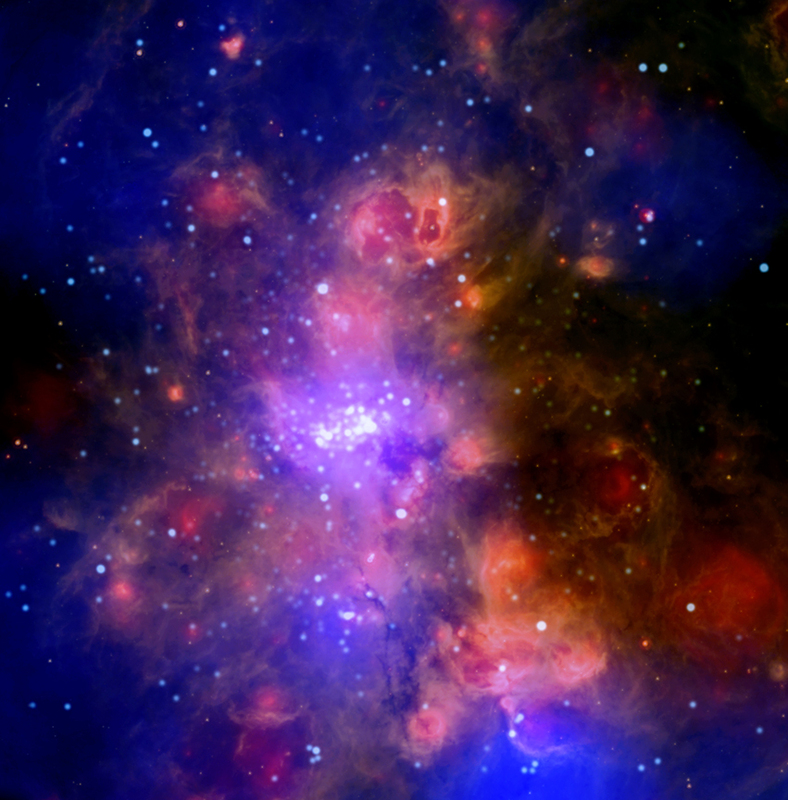 A new composite image of W51 with X-ray data from Chandra (blue) and Spitzer (orange and yellow-green) is being released. 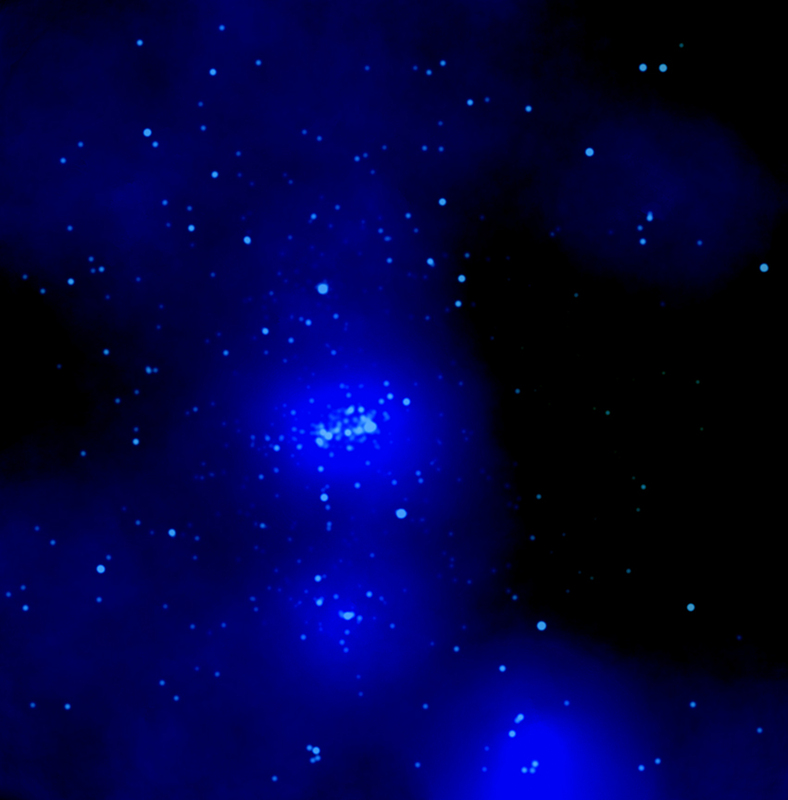 The X-ray data show the young stars are often clumped together in clusters, while bathing their surroundings in high-energy light. Coordinates (J2000) RA 19h 23m 50s | Dec 14° 06´ 00"
This is one of the most interesting images I have ever seen. I've been learning a lot from this website and looking forward to find new things. From a young student in Brazil. Great contribution to the astrophysics world. Amazing read, please keep up the great work. Magic stuff. And fascinating also. Liked the tutorial content and the educated guesses on possible explanations. Thanks. I've relished the images offered by Chandra for some years now. This is one of the best. What an exciting Universe we live in, and with. About 17,000 light years from Earth. Combines X-rays from Chandra X-ray Observatory and infrared light from Spitzer Space Telescope. About 100 light years across. X-rays are blue. Infrared is yellow-orange.